One Piece World Seeker Video Review - We Are on the Cruise! Even if you aren’t familiar with the One Piece manga, Luffy and the crew are so iconic you’ve probably seen them somewhere before. One Piece also isn’t new to video games, however World Seeker set out to try something different, and while this may have been a calculated risk it absolutely paid off in the end. While the franchise often sticks to fighting games, One Piece World Seeker is the first foray into a full open world experience, and with iconic series creators stepping into the project to work on the story, soundtrack, and new characters, this is one piece of gaming anime you don’t want to miss. Check out our full review below. 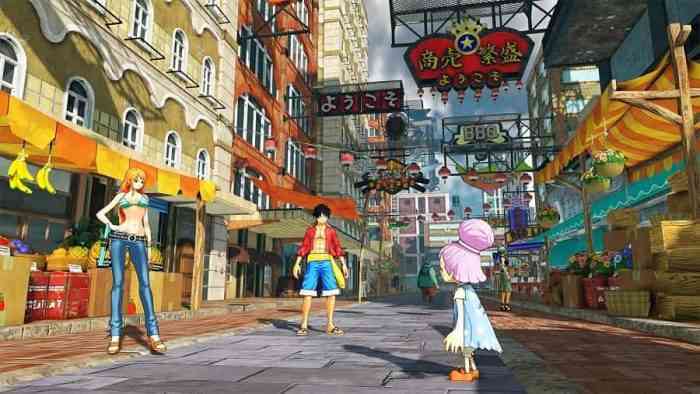 One Piece World Seeker is the latest entry in the long running manga series, and the first step into open world gameplay, and has the distinct pleasure of being worked on by key members of the original One Piece staff. In this latest adventure, Luffy finds himself stuck on Prison Island, encountering other members of the Straw Hat crew as he gets reluctantly pulled into a whole new world of problems as only Luffy can. The game features a free flowing open world combat using our heroes iconic stretching abilities, a plethora of side quests, dialogue options for growing and maintaining friendships, and several other new RPG elements to the franchise. While the controls don’t quite reflect Luffy’s fluid movements and the camera can be troublesome, it is altogether a fantastic step into open world gameplay and a great launching point for newcomers to the shenanigans of the Straw Hat Pirates. One Piece World Seeker is available now on PC, PlayStation 4, and Xbox One. For more information check out the game’s official website.